I don't have many items on my "bucket list" (not sure if that is a good thing or a bad thing), but one item on there was writing my life story. Let's face it, compared to Gandhi, Abe Lincoln, and Oprah, my life story will not win me a place on the "History's Most Fascinating People" list. But just like we can very much enjoy movies that are not on the "Greatest Movies in History" list, your life story, if told in the right way, can make a story not only worth reading but worth buying. I am going to share with you how I did it, then how you can too. In the 1990's, Jerry Seinfeld had a smash hit TV show about "nothin'." This was the pitch... it was a show about nothing. Actually, the show was about four of the most entertaining characters of all time, navigating their mundane lives in a hilarious way. None of the characters were saving the world. None of them suffered through any horrific life event and came out stronger. None of the characters did anything remarkable. It is not about what they did or did not do, but how they did it. It was this idea that inspired me to write my story. I would write it to be factually accurate, but in a way that made it entertaining to read. In a sense, this is the art of storytelling. Now that I convinced myself that even the story of a "regular guy" could be told in an interesting and entertaining way, I realized that many of my stories were far from mundane, normal, or about "nothing." It was just a matter of taking a trip down memory lane and jotting down notes on all these stories, then deciding which could be told in a way that would be interesting and entertaining to someone who doesn't know me. I chose the stories, then started writing... and writing... and writing. Being only 45 years old, my life story is far from complete. I realize this, so I chose to write about the first 25 years of my life only—at least in this book. I will be writing beyond my first 25 years in the blog I set up for this book. I think many people might hold off on writing their life story because there is much more to be told. Even if we don't get hit by a bus tomorrow, we never know when the last chapter will be metaphorically written, so it's best to literally write as many chapters as we can now. That's exactly what I did. What are the stories you tell to others who seemed to be entertained by them? How can you add humor to them? How can you add an emotional component? How can you add suspense? What visual elements can you include? How can you end the book so the readers feel a sense of closure? Thanks to modern publishing, you can always update your book and add chapters on a regular basis. I plan on adding a few chapters every year to mine. The bottom line is, write your story. Your friends and family want to read it, and if you write well, strangers will want to read it too. No, your life's not over yet, but if everyone waited until they were dead to write their life story, there would be no autobiographies. I posted the first section of my book online, both the text and the enhanced audio (me telling the stories with music and sound effects). 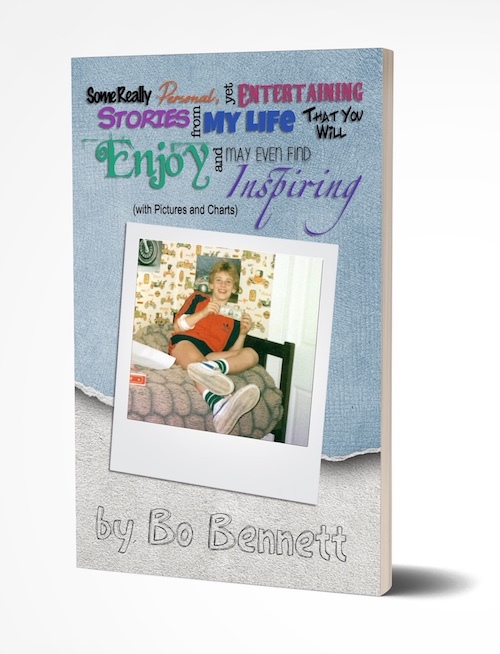 You can see and hear this at https://www.hostingauthors.com/tools/bg/author/bobennett. Let me know what you think, then get to work on your life story!